The USA and Finland have not met in International footy before. In cool and overcast weather this morning it was probably the Finns who felt a little more at home on the Western Oval. 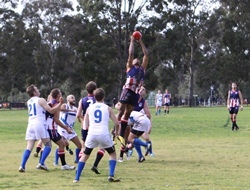 From the centre bounces in Jason Wilhem dominated over Finlands various ruckmen. McLure and Dragus dominated at centre half forward and Ryan McGettigan and Jay Levesque gave the US plenty of drive. Puntilla and Karlson tried to defend valiantly but the US still put on 9 goals for the first quarter despite kicking into a slight breeze. With the breeze in the second it was looking to be a daunting task for the Finns. This time it was Andrew Werner who dominated up forward. Barker and Romar battled hard at ground level but the US always seemed to have superior numbers around the ball. The US failed to capitalise on the breeze kicking 7.5 and some out of bounds on the full due to the breeze being to their advantage but across the ground pushing the ball wide on many occasions. In the third quarter the Icebreakers seemed to have found a bit more structure in the backline and were able to choke up the US forward setup a little. The big men of the US in Dragus, McLure and Werner continued to worry them though and McGettigan still seemed to be everywhere. Mel Chen, Chet Ridenour and Luke Nemeth rebounded the ball every time Finland looked to get the ball clear. Finland did not give up in the last quarter but they did tire and the US continued to push, percentage later in the tournament could be crucial. 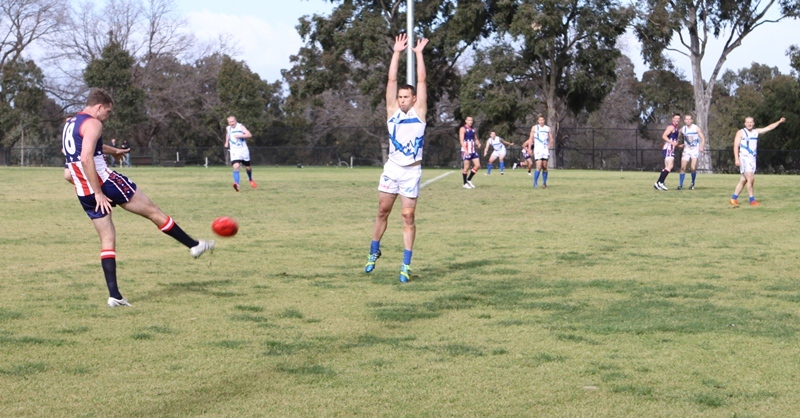 More wayward kicking due to the cross breeze caused much inaccuracy but Alex Wallach had no problem with the wind, kicking three goals for the quarter. Romar Karlson and Putilla tried hard to get the Finns out of trouble, but to no avail. The US making a strong statement in their first IC14 hitout showing stout defence, good work around the ball and potent forward line. Finland need to work on linking up and one off efforts were just not enough against strong opposition. There seems to be an arithmetic error in the final score. Was the USA score 27.17 (179) or 27.20 (182)? Welcome to the International Cups. Scoreboards and tweets and the AFL stream and even the official scorecard - so many sources for the score and yet often they all disagree. Currently the AFL website round 1 review has the same as us above but clearly that doesn't add up. We'll let them know and clarify when we can.